Get your students out of their seats and engaged in learning with this fun QR code activity. 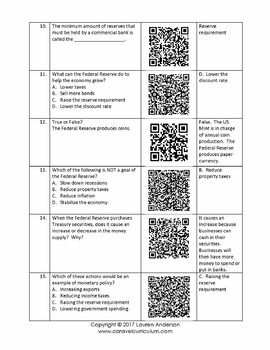 This assignment can be used in an economics course to reinforce or review content, while allowing students to move around and use technology. 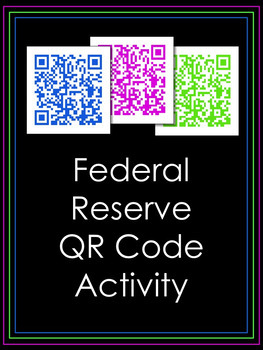 Teachers print QR codes and post them around the school or the classroom. Students then work individually or in groups to scan the codes with their smartphones or tablets and complete the assignment. These QR codes come up as plain text, so there is no need for an internet connection. 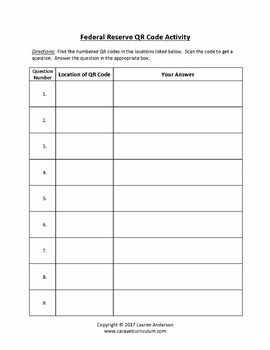 This packet provides QR codes for 20 different questions and gives tips on how best to implement this activity in your classroom. 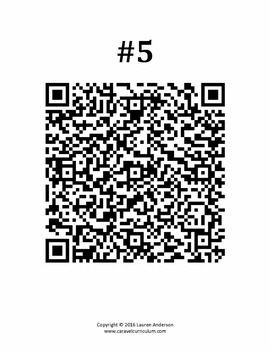 •	Full-page, half-page, and small printable QR codes for posting on walls, etc. Click here to see my other QR code activities. Be sure to follow my TpT store by clicking ‘Follow Me’ next to my seller picture to receive notifications of new products and upcoming sales.